There’s an old saying, “It never rains but it pours,” commonly used as commentary on the fact that many unfortunate events tend to occur in groups. For instance, running late seems to inevitably mean spilling coffee on your shirt, hitting every red light on the way to work, and leaving that critical file on your kitchen table. Another common example is when something goes wrong with your finances. In many cases, a single financial misstep can spawn a variety of woes, not the least of which is that you may need to get your hands on money you simply don’t have — and you likely need that money now. While bad credit can make a quick loan harder to find, it may not be impossible to find fast financing from a flexible lender. The quickest type of loan you’re likely to find is a short-term cash advance loan. These loans are typically small — less than $2,500 — and tend to have terms that last fewer than six months. Short-term loans are generally repaid as a single lump sum at the end of the loan, with both the principal amount and all applicable finance charges and fees due at the same time. The major benefit to a short-term cash advance loan is the turnaround time; for most short-term loans, you can get an application decision in minutes, and receive your funds as soon as the next business day. Using an online lending network, such as our expert-rated options below, can give you multiple quotes at once to help ensure you get the lowest fees you can. Before you take out a short-term loan, be sure you can afford to repay both the principal and the associated fees. While you can generally extend your loan, you will be charged additional fees for the ability — and short-term loan fees can add up quickly. In the case that you need longer than six months to repay your loan, you should consider a personal installment loan, instead. A longer-term alternative to cash advance loans, installment loans are repaid in a series of installments, typically monthly payments. Though not traditionally considered to be a fast loan when obtained from a bank, online installment loans often have quick application responses, and can provide funds in as little as one business day in some cases. Additionally, installment loans can give you up to 72 months to repay your loan, giving you the ability to choose a larger or smaller monthly payment. Installment loans are also available in much larger amounts than short-term loans, with some personal installment loan providers, such as those found on our top-rated lending networks below, offering loans up to $35,000. While installment loans can be obtained with terms that extend up to six years, you may not want to get the longest term possible simply to decrease your monthly payment. That’s because each extra month means additional interest fees, which increases the overall cost of your loan. Choose a loan length that provides an affordable monthly payment without over-extending your loan. Cars are another perfect example of “It never rains but it pours” in action. It seems to be a rare event when only one thing breaks at a time. Often, that strange engine noise or wobbly tire is only the first drops of a major downpour. And, in some cases, that storm of repairs can be enough that the only way back on the road is a new (or newer) car — stat. For most of us, being without a vehicle doesn’t just mean being stuck at home; it also means having no way to commute to work. 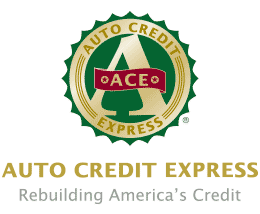 With an online auto loan, you can often receive an application decision in minutes, and an online loan certificate or check in less than 24 hours. To compare quotes from multiple online lenders at once, use an online lending network like our picks below. Although online lenders with flexible credit requirements are relatively easy to find, your credit won’t be the only qualification. Many lenders will require you to have an active checking account in good standing and meet the minimum income requirement. A number of events can occur that make it necessary to obtain a home loan in a hurry. You may need to purchase a new home because your current one sold faster than expected, to refinance your current loan due to job loss, or even to obtain a home equity loan to repair damage from a storm or natural disaster. Whatever the reason, you may have the best luck with a quick home loan by applying online. You’ll typically receive a response in five minutes or less, and may be able to close on the loan in as few as two weeks (depending on the type of home loan). The easiest way to obtain multiple online home loan quotes with a single application is to use an online lending network, starting with the networks below. Your ability to obtain a quick home loan will depend on your credit score, the type of home loan, and any equity or down payment you can provide. For instance, those with low credit scores tend to have a higher chance of approval for a new home loan if they can make a substantial down payment. Additionally, your refinance or home equity loan is more likely to be approved if you have a large amount of equity in your current home. When the first raindrop falls from a dark cloud, it’s often the harbinger of stormy tidings, the very first sign of the downpour to come. Like that raindrop, some events in life seem to simply signal the beginning of a storm of trouble. And it’s amazing how often that trouble comes with a big price tag. Thankfully, even with poor credit, you can often find the financing you need — and with the quick turnaround time you need. Just remember to always borrow responsibly, only taking on debt you can afford to repay, and always, always, always paying your debts on time.